Welcome to Uncommon Thredz, one of the most original shops in B.C. 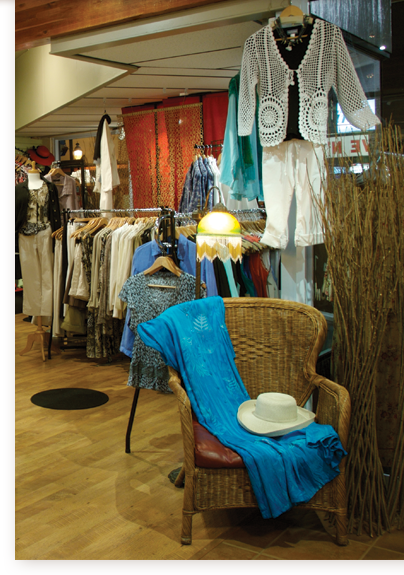 It's a boutique dedicated to women, focussing on fashions that make them feel confident and beautiful. Designer Angela Morrow knows quality and style, and offers her customers both, along with sound advice in a warm and funky atmosphere, where a jazzy tune is always playing and a warm smile is waiting. From soft winter sweaters to colourful summery dresses and all the accessories in between, Angela carries the finest products in her fashion style house. Located just 70 km east of Vancouver, Uncommon Thredz is a shop not to be missed in Historic Downtown Mission, where shopping is an enchanting experience.